Western bluebirds and many other cavity-nesting birds are declining in population and are having difficulty breeding successfully because of changes in climate and because of increasing interference by non-native species and predators that reduce their success in cavity nests. For these reasons, groups such as the California Bluebird Recovery Program (CBRP) have formed to help cavity-nesting birds recover their numbers and to stabilize or increase their populations. The photo to the right shows a male western bluebird near Borges Ranch at the beginning of the nesting season. 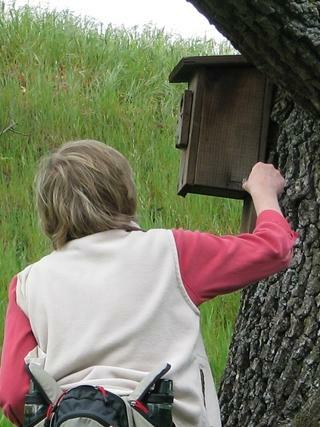 In Walnut Creek and other communities in central Contra Costa County, volunteers from CBRP and the Walnut Creek Open Space Foundation worked together to install and monitor cavity nest boxes. These boxes have openings small enough to exclude some predators while admitting the birds that will benefit from the nesting sites. Cavity nest boxes are placed along a route in an open space area. Plans for the boxes allow the construction of two cavity nest boxes from a single 1" x 6” x 6’ fence board. The remains of people's yard fences can often be recycled when they rebuild. One of our volunteers who is very active with this project, Brian Murphy, has devised a hand-truck carrier to hold eleven nest boxes and tools. After the box is mounted, we record data including the date of installation, the location and orientation and the distance from the nearest neighboring nest box. Western bluebirds will not build nests close to those of other bluebirds. Typically we install nest boxes more than 100 feet away from the nearest neighbor and make sure that birds cannot see the nearest neighboring box. Boxes placed on trees at the edge of woodlands and near meadows seem to be most successful for bluebird nesting. 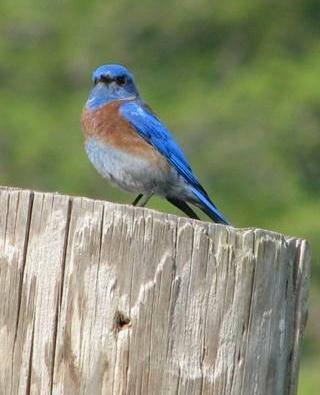 Volunteers adopt a particular bluebird trail and monitor it. Beginning in March, they start visiting the boxes on their bluebird trail and look for signs of nesting. They carry tools including a screwdriver to open the door of each box and a tool such as a paint scraper or putty knife to clean out boxes.  It's a good idea to carry water, binoculars and a camera as well. Approaching the box we observe whether cavity nesting birds are in the area. We open the side door and look for signs of nesting. Some birds leave feathers or small amounts of nesting material such as twigs or grass to mark the box before they start the nest. Shown here is an oak titmouse nest made of fresh moss and grass. Notice the moss on the tree trunk next to the nest box. The nest contains three eggs already but eventually had seven eggs laid over several days. The titmouse is the earliest nester in the Walnut Creek cavity nest boxes. Titmice are very protective of their nests! Bluebird nests are first observed shortly after those for the titmouse and bluebirds may nest more than once in a season. The eggs are a beautiful blue color. We typically find between two and five eggs in a nest. It is typical for bluebirds to leave a bright blue feather in a nest box before beginning nest construction. They usually build their nests entirely from grass, unlike most other cavity nesters. This bird is very reclusive; you have to be very observant to notice it. One is more likely to find a nest for these birds in the woods. Here we see the female on a new nest made with animal fur and moss. She chatters at me as I look into the box as though demanding that I leave. Hair from cattle is often observed in these nests. Their eggs are very distinctively striped and easy to distinguish from those of other species. These nests are usually made with a grass base and a layer of bird feathers. There are six local swallow species; tree swallows and violet-green swallows sometimes use our boxes for their nests. Note the pale pink unspotted eggs. The swallows are very visible around the nest during construction and throughout the nesting process. These are birds that you often see clutching sideways or upside down on oak trees. Like the ash-throated flycatcher, nuthatches may use a variety of materials in their nests, including grass and animal fur. We do not have a photo of nuthatch eggs but this shot of the female on the nest was one of my favorites. She must have been incubating her eggs because she was not inclined to leave the nest that day. These wrens frantically build nests of twigs during nesting season. They build more nests than they need! The problem is, if you are checking a nest box with a side door, you cannot easily see what is going on because they build the nest right up to the roof. It is easier to see what is happening if the box has a removable top. Note the light pink eggs are nestled in feathers in the back corner of the box. 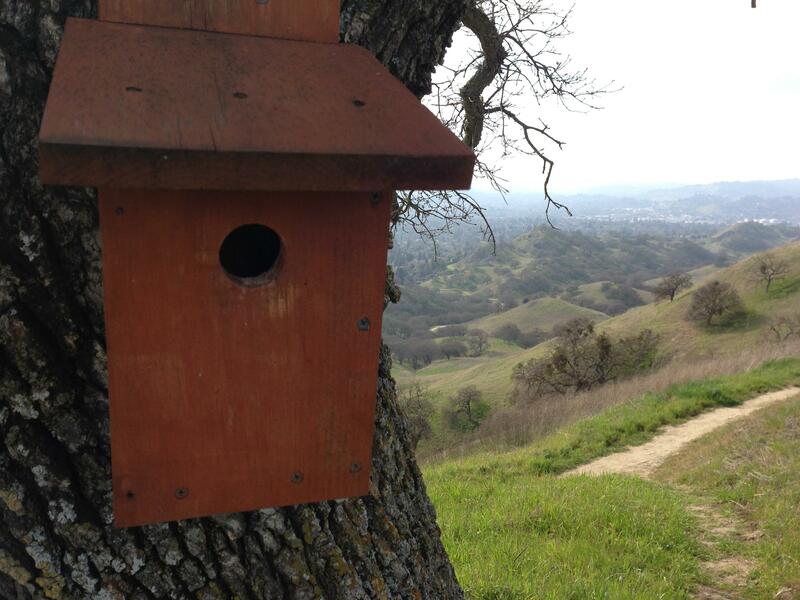 In 2012, we monitored 90 nest boxes in Walnut Creek Open Space reserves and 225 birds were fledged. Two-thirds of these were western bluebirds, with the remainder distributed among five other species. In 2013, we are adding more boxes along the seven existing trails. For more information, contact Bob Brittain at 925-938-5831 or bobbrittain@astound.net.